Get back here! You’re not getting away! Today I have another VGC team analysis. This team is based around the move Perish Song, which after usage leaves all Pokemon on the field 3 turns to live unless they switch out. If one of your Pokemon has the ability Shadow Tag, the opponent won’t be able to switch out and be forced to lose their first two Pokemon at the end of the 4th turn. I got this idea from watching battles on Pokemon Showdown. When I saw the team I didn’t think much of it, considering it gimmicky and not fit for a high level of play. After seeing it in action I realized that this team is surprisingly legit. There are a handful of ways to play around perish-trapping (known as PT from now on), but if an opponent doesn’t have any of these they will lose. The teams that can play around PT still aren’t guaranteed the win. When the PT strategy fails the team can still fall back on Gengar’s amazing Special attack and bulky offence. 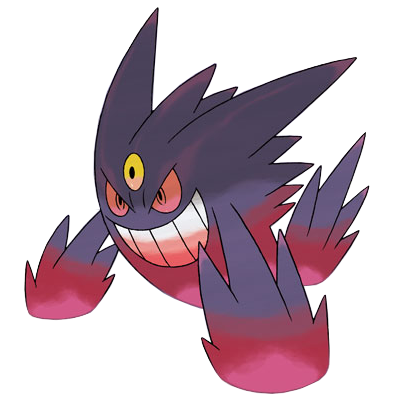 Mega-Gengar is the core of the team, being able to use Perish Song and Shadow Tag by itself. Gengar’s favourite partners are Scrafty and Greninja as they offer it a turn of protection while it uses Perish Song. Protect keeps it alive for the second turn, and Hypnosis will give a shot at surviving the third. If Gengar is KO’d on the third turn you can still send in Gothitelle and ensure the first two opponents are KO’d. 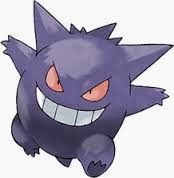 Shadow Ball is used so that Gengar can deal with opposing Ghost Pokemon that aren’t affected by Shadow Tag. While Gengar isn’t a bulky Pokemon its been able to survive Greninja’s Dark Pulse and neutral physical attacks after Intimidate. *Perish Song Gengar won’t be available until Pokebank is released. Scrafty is the default partner for Gengar. Scrafty provides Fake Out and Intimidate support to keep Gengar safe on the first turn. 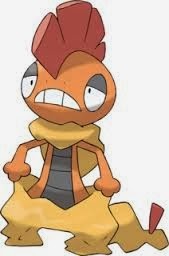 After that Scrafty is pretty much just another meat shield to keep you from sending out one of your reserve Pokemon too soon. Detect is used over Protect because the animation is cooler, and because of the common VGC misconception that someone at a tournament is going to be packing Imprison. Drain Punch and Crunch are used to help Scrafty deal with Dark and Ghost types that threaten Gengar. waiting for all our Pokemon to die. Gothitelle is part of phase 2. 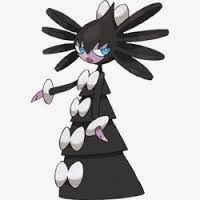 If Gengar goes down before the first 2 Pokemon are KO’d Gothitelle steps in to make sure they go down on the third turn. Gothitelle has Trick Room to make everything on the team bar Gengar move first. This allows the team’s slower Perish Song user to attack first and lets Gothitelle set up screens to keep the team alive long enough to win. It is important to mention that If all remaining Pokemon perish on the same turn the player with the slowest Pokemon wins. 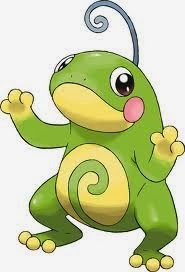 Politoed is PT #2 and the second component of phase 2. Once Gengar had taken the first 2 Pokemon down (and I usually have it die itself, while Scrafty gets switched out.) At this point Politoed comes in the use the second Perish Song and put the opponent on the final clock. After the first two Pokemon are down U-Turn users and Ghost types are no longer safe from PT. Scald is used for the burn chance, while Bounce is used to stall an extra turn. These first four Pokemon are the main four on the team. This team brings these four Pokemon in the order specified most of its games. The last two slot are dedicated to dealing with the team’s counters and throw off the opponent in team preview. Amoonguss can take Scrafty’s place alongside Gengar. Rage Powder keeps Gengar safe and Spore can end the few turns the opponent has. Even with the threat of Perish Song Amoonguss is not a Pokemon you want to leave alone. Regenerator keeps Amoonguss healthy as it switches out of Perish Song. Greninja is another Pokemon that can take the place of Scrafty. Mat Block shields Gengar on the first turn and once that happens the first two KOs are set up. 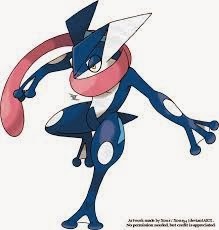 Having Taunt on Greninja gives the team an way to block other Taunt users as well as hinder Prankster users. Strategy: Lead Scrafty and Gengar. Mega-Evolve, Fake Out and Perish Song. Use Protect to stall as much as possible. If Gengar goes down Gothitelle comes in and ensures the opponent’s first two Pokemon go down. From there use Perish Song once more and last 3 turns for game. The opponent gets a total of 8 turns to KO 4 Pokemon, and at least four of those turns are spent using Protect. Amoonguss and Greninja are pretty much filler Pokemon, but can be useful against certain threats. These two pretty much never see the battlefield so you could pick two random Pokemon to try and draw attention away from the two Shadow Tag users, as well as give the team an alternate win condition. The original team had Kingdra in place of Greninja but it doesn’t contribute to the team strategy so I replaced it. Weaknesses: If the opponent is using Volt Switch / U-Turn / Ghost types your fun is done. Prankster Taunt shuts the strategy down to an extent. Soundproof is a pain. Gengar and Scrafty will try to get rid of other Ghost types, Volt Switch and U-Turn can be played around to an extent. Greninja can attempt to Taunt other Taunts and Politoed has Mental Herb so it can get the first Perish Song off anyways. Conclusion: This team is incredibly powerful and will demolish opponents that aren’t prepared for it. Despite the nature of this team, there are legitimate good games to be had with it. PT teams can be a blast to play against as no matter what your team strategy was it has no changed to hyper offence. Don’t let your team be vulnerable to this strategy, or else your fun will be done my son. How are you supposed to get a gengar with perish song if mesdrevious isn't in the game? well mark didn't write this article, so it's probably safe. You need Misdreavous from Generation 5 to get Perish Song on Gengar. Everything else should be easy to figure out. Use Serebi Pokedex if you're having trouble. 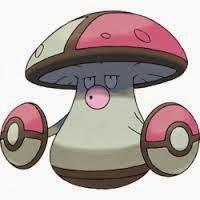 Is it okay to have an Effect Spore amoongus? Given the rules for the VGC that we can only use 4 in the actual battle, how to you recommend running htis team? Is it still viable with just 4 of them? Does Politoed have to have “drizzle” would damp be okay? Have you tried smeargle scarf with Dark Void? Drizzle is largely superior because it boosts Scald damage. It also reduces Fire's power which can help Amoonguss tank hits. On this team, since you're not using Drizzle to counter weather specifically, Damp would be ok but Drizzle would be much better. Work with what you've got. Effect Spore is fine, but the HP recovery from Regenerator is pretty nice. What's the specific reasoning behind most of the pokemon having 0 speed IVs?